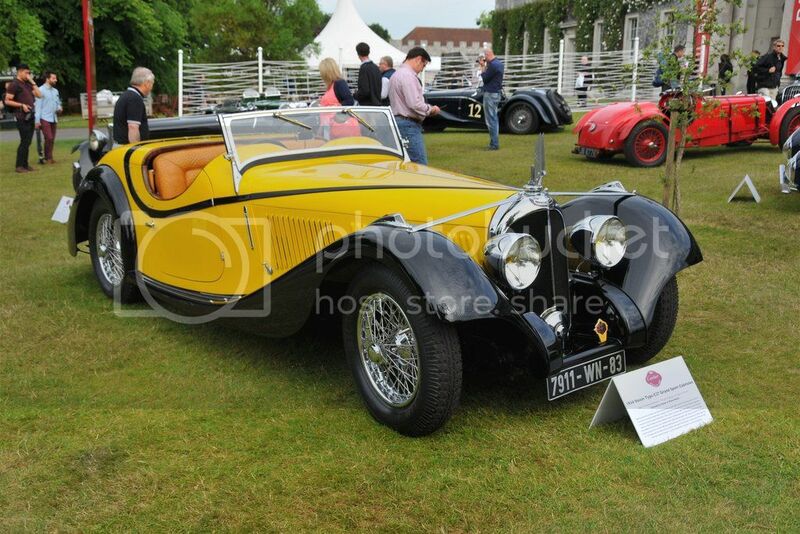 I see on the Goodwood Site there is the claim to this car having Australian history - is this accepted now as fact ?. But I'm not sure about the rest of it. I seem to recall that it is on record here somewhere that Mr Pittaway plans to give a full account of the car's history from day 1, or at least the bits he originally acquired, when and from, or via, whom. Any or all of its Australian history will then be clear to all. Having seen it close up at the FoS, and taken countless shots of it from most angles, there can be no doubt about the quality of his re-creation skills and the workmanship is of the highest order. Without reflecting poorly on Mr Pittaway at all, since I have seen other examples of his engineering, all to a similarly high standard, I still maintain restorations are best served with evidence of what they started with, rather than simply what the end result might be. It just saves a lot of questions but adds to a genuine car's provenance. Without Mr Pittaway's efforts there is no way I would ever have had chance to see a FIAT S76. Following on from my post above, the full story of Mr Pittaway's efforts are in the new issue of Octane, which flattened the doormat today. Lots of narrative about the early days, lots of story about the restoration and remake of parts etc. Lots of Stefan Marjoram' pictures in a long article. I continue with my utter admiration for Mr P's commitment and efforts with his team, and undoubted drain on his bank balance. He say that he does not claim to tout the S76 as a restoration of an original car, but nor is it just a re-creation, due the number of original parts, even the remade ones being to FIAT drawings. The car was apparently, "known to survive", " terribly battered and bent but complete with axles, steering box, springs and pedals, having been found in a ravine in New South Wales in the 1970s". It then passed through various hands. Presumably these "hands" can be named as they are assumed to have existed if they were known, as can the final vendor, who would have evidence of its source. The full story would then be complete for all those who find this entire project sublimely fascinating, - quod vide the last line of my post above, and I cannot be the only one who feels that way- if a photograph or photographs showing just what it was that Mr Pittaway purchased and had delivered to his premises, and its condition etc, prior to restoration were to be posted in the public domain, all due copyrights acknowledged. I cannot for a moment believe that no photographs were taken at that time, unless they are being retained for issue in a subsequent book. 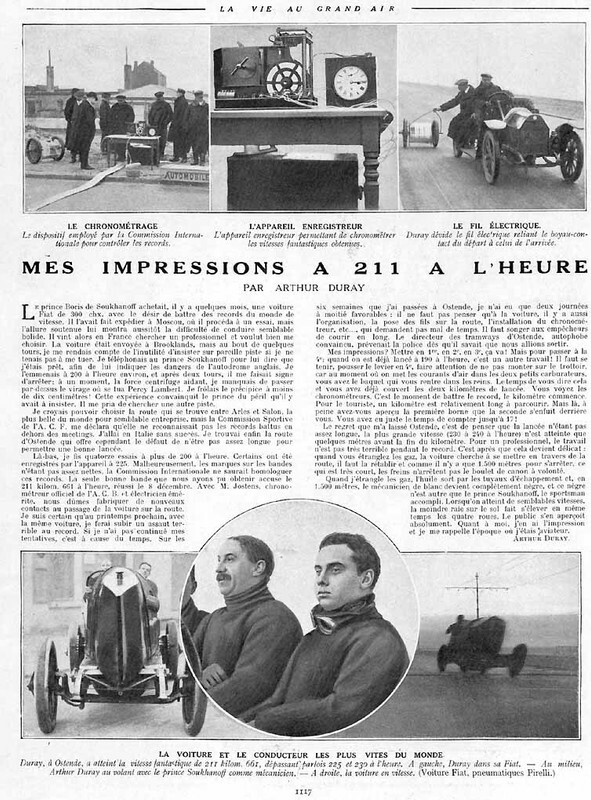 Such illustrations would surely simply serve to re emphasise the magnitude and skill of Mr Pittaway's team's endeavours, especially as he spent 10 years sourcing other known S76 parts, leading the article's writer Mark Dixon to point out that the car is 100% authentic (FIAT) my parentheses, RL,, which might be a lot more than could be said for many other examples of other marques' restorations . Edited by bradbury west, 22 June 2015 - 20:38. I agree with Bradbury West's comments above, both about the quality of the (re)build and the preference for accurate information about the origins. There is little doubt that the car that fell down a Bellbrook slope(in eastern NSW) and later found in "a ravine" was an Austro Daimler; that it was not "in a race from Armidale (or Armadale) to the coast"; that it was merely traveling from 19 kilometres west towards Kempsey 50-odd kilometres further east, its occupants still upset about the death of a close family member; that it was given to Neville Roberts by Stuart Middlehurst "for services rendered", both believing it to be a Peugeot; and then sold to Brian Arundale who apparently onsold the chassis to (reportedly) Duncan Pittaway. We have photos in Australia of the car's remains at various stages above. We have witnesses in Australia who can confirm what is written here. The engine remains from "the ravine" , now clearly identified as Austro Daimler are now appropriately with an Austro Daimler owner/rebuilder in Sweden. We still wait for evidence of the car's claimed motor racing history in Australia, none of which has yet been found or presented. There is more. John Ryder of Coonabarabran NSW claims that the chassis was stolen from his property in his absence at a time when the Austro Daimler chassis above was still in "a ravine" near Bellbrook. He has named the thieves,on this forum indeed, and he with trailer pursued the thieves, but with no success. He says he relatively recently contacted Duncan Pittaway, not necessarily successfully. Part of the problem is that there are two chassis involved in this story-- one an Austro Daimler originally thought to be a Peugeot, and the other quite possibly the Fiat stolen from John Ryder. Another part of the problem is that much of the information is hearsay, so part of the "he said/she said" difficulty is that Duncan Pittaway has been telling us not what he (apparently)knows to be correct but what he was told perhaps by Australian snake oil salesmen. For a start the "Australian motor racing history" photographs would help. Edited by john medley, 24 June 2015 - 04:34. I think John's well and truly on the pace with this one. Did it set any hay bales alight? Not quite. It's so tall that the flames go over the top. But about half-way up the hill, the riding mechanic decided that having his arm outside the cockpit wasn't all that good an idea. It will be doing its next run in the next few minutes. They did apparently move some of the bales at the start line when Don Garlits rolled up in Swamp Rat, which is a bit like a mobile flamethrower. First run on Saturday morning, it had a Go-Pro fixed on the scuttle. In line with the 'exhausts'. That was ... er ... interesting! Having seen the car run at Goodwood, I simply don't care about provenance, ravines, Aussie history or any of that stuff, it is just a magnificent spectacle worth all the effort spent on building/restoring/faking it. I watched it at Goodwood yesterday and agree absolutely, a magnificent spectacle. Loved the flames, but what's the mpg? Maybe measuring its gpm would be more appropriate? He didn't. He pulled off after the bridge. Well I never, who'd have guessed? More seriously though, a rather nasty delight for me at the Festival each year is overhearing comments from less anoraky attendees. Too many to mention this year, but I particularly enjoyed one elderly man explaining at length to his younger colleague that the struts from radiator to the top of each wing on a 1930s Voisin had been added by the current owner to counteract weakening of the structure caused by rust. Edited by kayemod, 28 June 2015 - 22:28. How wrong! They were added by the original owner to counteract weakening of the structure caused by rust! Sorryy... they were fitted by the manufacturer to counteract weakening of the structure caused by rust! Massive thread drift here, for which I'll apologise, but since the great Don Garlits' name has cropped up, here's something else to go with it. Many years ago I was an enthusiastic follower of US drag racing, don't know much about current stuff, but when Don was racing back in the 60s, 70s & 80s, the two big name engine builders for top fuel dragsters, the kind Don had at the Festival, were Keith Black and Ed Pink, Don was one of Ed's users, he may have had one of his lumps in Swamp Rat this weekend. Now, did anyone else drool over that lovely re-manufactured and updated old Porsche 911 Targa on the front lawn? The far from stock engine in that car was built by Ed Pink Racing Engines in Van Nuys California, clearly they've diversified somewhat beyond drag racing. I bet that's a link not many would have expected to see. Sorry about that, back to S76. More seriously though, a rather nasty delight for me at the Festival each year is overhearing comments from less anoraky attendees. When the S76 made its FoS debut last year, I found myself standing next to two people discussing the workings of its turbocharger. They were puzzled by the apparent lack of connection between the exhaust system and the turbocharger. I eventually took pity on them and told them they were looking at the water pump. I overheard two knowalls discussing the interior of a Blower Bentley. Puzzled by the lack of a central gear lever and not noticing the one by the driver's right thigh, they concluded that it must be an automatic. One young bloke was impressing his high-heeled young woman friend with his knowledge of the Lotus 25. "This was the car that Jim Clark used to beat Senna in". I kept quiet in both instances. Ach, how hilarious! Everybody knows that the 25 was used by Moss to win over Villeneuve, and that Clark beat Senna in the Lotus 88. Kindergarten stuff, really. Any chance you took a picture of that high-heeeled girl friend? Pfft. Any fule kno that the Lotus 25 was just the Lotus 15 with ten more mistakes. Sorry no, I was too busy watching her arse wiggling to hold the camera steady. She was using to steady your camera? The S76 was one of my main reasons for going to the FOS this year, it is truly awe inspiring as a peice of machinery and in action. I spoke to Duncan Pittaway who explained that the exhaust system seen in the FOS programme picture was put in place after 18 months as a condition of sale to a Russian Count. So i guess it could run with either set up. Duncan said he was considering adding the exhaust system so he can drive it on the roads! On Don Garlits we were standing by his pit space as he came back to the paddock after leaving the track by the bridge. What was so impressive was this 83 year old guy had noticed the blower belt was loose and as soon as he stopped he was in action with his tool kit. Other people helped but he was the guy fixing the fault like NOW to be ready for the next run. Just a small example of why guys like him become winning legends - total focus on the car and its preparation. Edited by mariner, 29 June 2015 - 09:20. The FOS TV cew put a live on board camera on the S76 up the hill. Edited by mariner, 01 July 2015 - 16:25. That looks better. It should direct the flames onto the straw bales far more accurately! One of the commentators at Goodwood said he was deliberately running the car with the ignition ******** so it produced more flames. Edited by D-Type, 05 July 2015 - 22:04. So, where does TNF stand on Mr Pittaway's S76 given all the information above-******** and otherwise? There is more. 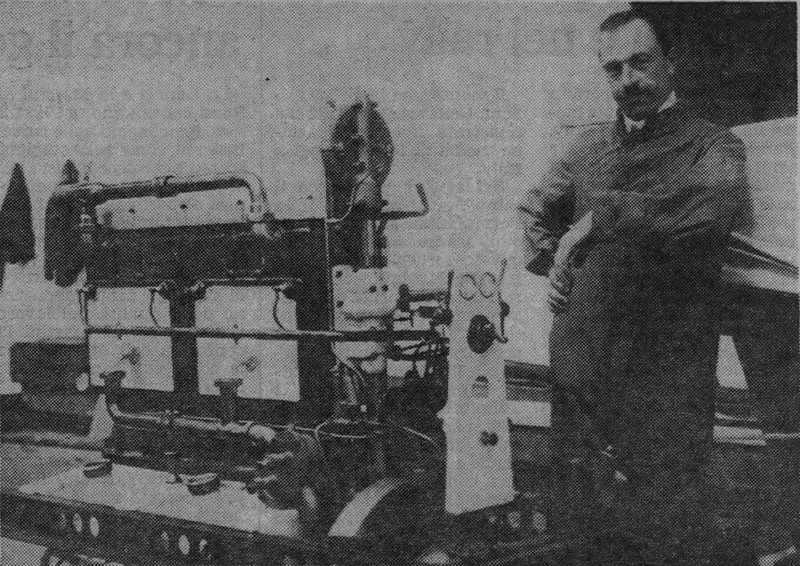 John Ryder of Coonabarabran NSW claims that the chassis was stolen from his property in his absence at a time when the Austro Daimler chassis above was still in "a ravine" near Bellbrook. He has named the thieves, on this forum indeed, and he with trailer pursued the thieves, but with no success. He says he relatively recently contacted Duncan Pittaway, not necessarily successfully. For my part I am VERY impressed by Duncan Pittaway's achievement and delighted to see that such an impressive reconstruction / recreation can be made so readily available to show how it was. The car deserves all the attention it is getting but that should not deflect from efforts to properly identify the source and provenance of the components used in it. Some serious research in Australia has raised a number of unanswered questions about the source and identity of some major components and their history while in this country. The project is of unquestionable merit which simply underlines the importance of addressing the outstanding issues. Essentially, surely, the Pittaway S76's true provenance is a matter for him and for any who feel they have had involvement with some of its components' past history. It is presently a wonderfully spectacular recreation of a long-lost original, whose owner does not seem eager to engage in perhaps unwelcome public debate about where the bits all came from, nor precisely how many of them might have been manufactured by Fiat and its suppliers in period. Apart from having apparently claimed some unjustified history - which is absolutely guaranteed to invite informed outside scrutiny - it's absolutely none of our perishing business. Neither, against what else is happening in the world right now, does any of it really matter. And if it ever came up for auction, would it "really matter" then ? If that happens, then there might be legitimate questions that need to be answered. Until then, the situation is IMO exactly as Doug has so clearly set out. Of course it would, to the tiny coterie of people interested perhaps in bidding for it. And the advice we would give a vendor would be that his property must be properly described, and its provenance properly presented, in order to pre-empt any inconveniently detailed questions that would-be bidders might pose - or otherwise (and it's a HUGE otherwise) - its potential market valuation would necessarily reflect any doubt. Even the most flakey of fakes has a distinct value. Just never expect AAA world-class treasure valuation for a DDD made-last-Tuesday creation. Just never expect AAA world-class treasure valuation for a DDD made-last-Tuesday creation. Has happened before. No big deal. Which this isn't, I think we all agree! Shirley...some here, aren't saying that the "S76" could end up being presented similar to this? and my question is why did someone think it was perfectly acceptable to take a classic and turn it in to someone's recreation folly? Based on the amount of construction, care, effort and the fabulous result...the "S76" worth must be substantial...from what I have seen (and heard) its museum quality, nothing less. I know i'm late to this, but here's two pictures which i don't remember seeing in this thread. Please forgive me if that's not the case. 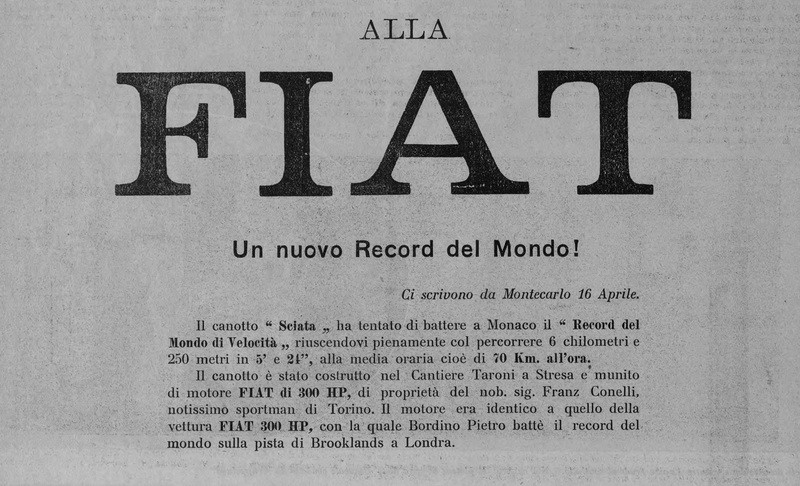 AT FIAT A NEW WORLD RECORD ! They write to us from Montecarlo, 16 april. The "Sciata" dinghy tried to beat in Monaco the "World Speed Record", fully succeeding by traveling 6 km and 250 m in 5' and 24'', at the average speed of 70 km/h. The dinghy was built by the Cantiere Taroni in Stresa and powered by a 300 HP FIAT engine, property of Nob. Mr. Franz Conelli, famous sportman from Turin. 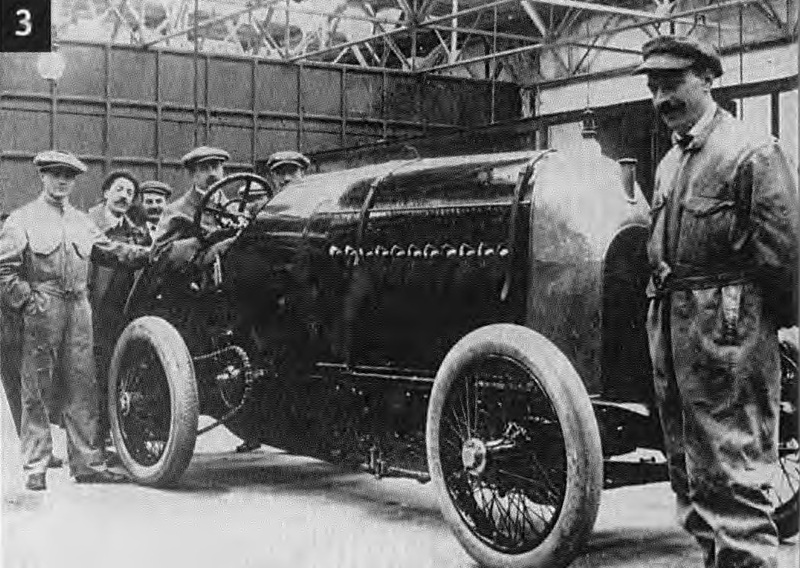 The engine was identical to that of the FIAT 300 HP, with which Bordino Pietro beat the world record on the Brooklands track in London.